► The Asheville Foundry Hotel, part of Hilton’s upper-upscale Curio Collection, has opened on "The Block," Asheville’s historical business district for the African-American community. Portions of the five-buiding complex were once home to the foundry that forged the steel for Biltmore and many of Asheville’s iconic buildings. 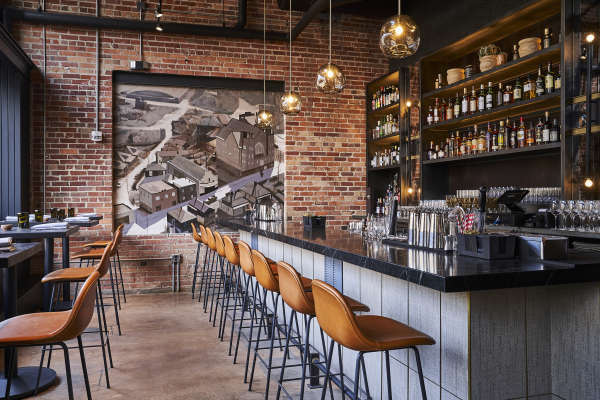 ► Five-time James Beard finalist Chef John Fleer has opened Benne on Eagle in The Foundry Hotel, paying homage to the historic neighborhood and often overlooked contributions of African-American cooks to Appalachian and Southern cuisine. ► Asheville’s famed Art Deco skyline will get a new icon and a four-star luxury property when Hotel Arras opens. The 128-room hotel will offer an extensive food focus with two restaurants by local chef Peter Pollay. ► Bargello will be a Mediterranean-inspired restaurant with handmade pastas, oven-fired pizzas and large-format meats (roasted rack of lamb and heritage pork shoulder) meant to be shared. ► The second space, District 42, will be a more casual spot for small bites and handcrafted cocktails.